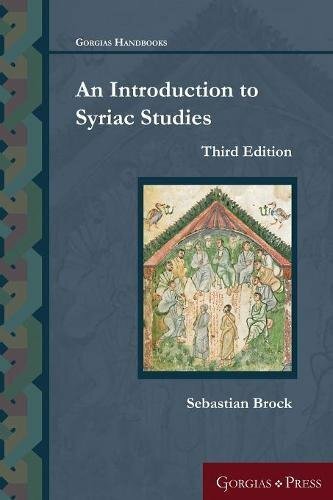 "This introduction aims to provide basic guidance to important areas of Syriac studies. The relevance of Syriac studies to a variety of other fields is explored, notably Biblical studies, Patristics, and the general history of the Near East. A brief orientation to the history of Syriac literature is offered, and Syriac is set within the context of the other Aramaic dialects. A thorough discussion on important tools (Instrumenta Studiorum) is presented, which should prove invaluable both for the student commencing on study in the field and for scholars working in adjacent areas. Topics covered include grammars, dictionaries, the Bible in Syriac, histories of Syriac literature, bibliographical aids and relevant series, periodicals, and encyclopedias. An appendix explains how the different Churches of Syriac tradition are related to one another and how they fit into the Christian tradition as a whole. It also sorts out the confusing variety of terms by which they are known.